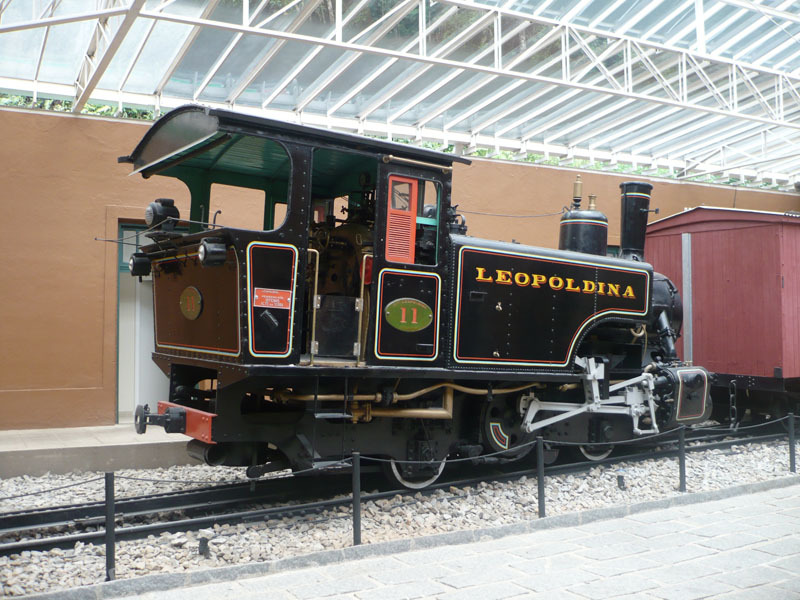 a 14% grade to the station of Petrópolis. British-made 0-4-0 tank engines were used. File comment: Interesting drive system on this 0-4-0. File comment: Looks like a freeloader hanging off this first class wood coach. Bonus: It appears one of the locomotives has been preserved!